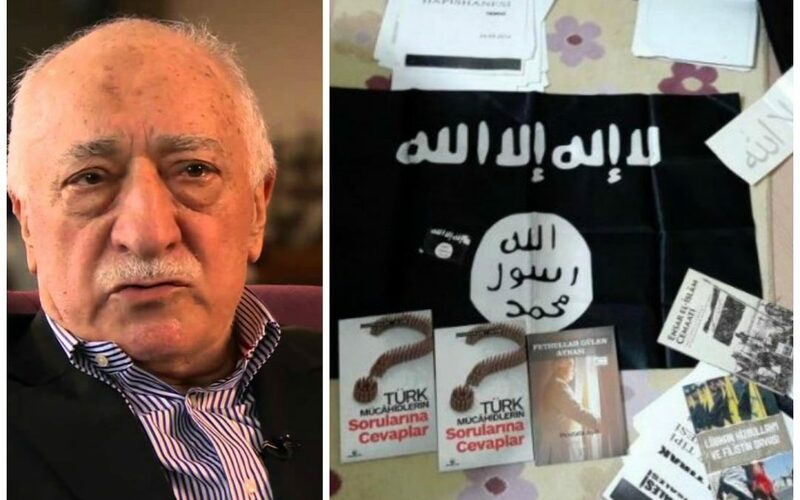 In the latest phase of an ever-growing demonization of Fethullah Gülen by the Turkish government, police are set to deliberately plant his books in Islamic State in Iraq and the Levant (ISIL) cells in order to expose an alleged connection between the cleric and the terrorist organization, according to a Turkish journalist. “My sources say police are going to plant Gulen’s books in ISIS cells. When they bust these cells, they will present the books as a proof that ISIS and Gulen are cooperating. The conspiracy is part of a government plan to show the world that the Gulen movement is a terrorist group,” former Today’s Zaman reporter Mahir Zeynalov said in a series of tweets on Thursday. “The government has been planning this conspiracy for more than a week now. They will coincide the raid with Erdogan’s visit to the US. As the police ‘find’ Gulen’s books in ISIS houses, the Turkish pro-govt media will blare on front pages about Gulen-ISIS ties. This will give a golden opportunity to Erdogan to explain to world leaders that the Gulen movement is a terror group on par with ISIS. My sources say the raid on ISIS cells is specifically scheduled during Erdogan’s visit to New York for two reasons: 1 – To show that Ankara is determined to crack down on ISIS cells. 2 – To show that Gulen is cooperating with ISIS,” he further maintained. Zeynalov’s allegations came the same day that Turkey’s state-run Anadolu news agency posted a story on its Twitter account alleging that books connected to Gülen were discovered during police searches at ISIL locations in Istanbul. The agency deleted the tweet late on Thursday apparently after realizing that the book – titled “Fethullah Gülen’in Aynası” (Fethullah Gülen’s Mirror) by Mustafa Aşık – was actually targeting the Gülen movement and seeking to defame its activities. Gülen, a US-based Turkish Islamic cleric, stands accused of masterminding Turkey’s July 15 coup attempt by the government despite, according to many analysts, the latter’s failure to back up its claims with credible evidence. The movement denies any involvement. The government’s war against the scholar dates back to the eruption of a corruption scandal in late 2013 in which senior government members were implicated. President Recep Tayyip Erdoğan as well as the government accused Gülen’s followers within the police department of attempting a soft coup against Justice and Development Party (AKP) administration. While the true perpetuators of the attempted coup have yet to be found, Erdoğan said in his initial remarks on the night of the coup that the attempt was a gift from God the cleanse the movement from within state institutions. Turkey has detained some 43,000 people and arrested 24,000 over their alleged links to Gülen since the coup attempt.